Collects Incredible Hulk (1968) #135-144, Avengers (1963) #88 and Marvel Super-Heroes (1967) #16. 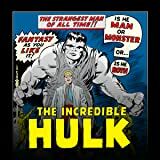 The Hulk is back, and he's going to smash his way through more masterworks than you can throw a tank at! It starts off with the time-travelling Kang the Conqueror and a trip back to World War I featuring the Phantom Eagle. Then, Hulk takes it to outer space, fighting the Abomination, before falling down to Earth and into the sub-atomic world of the Psyklop. 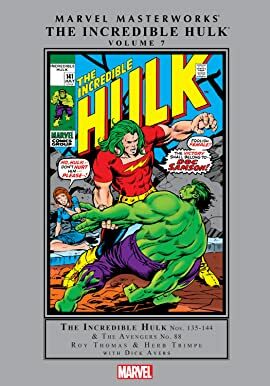 Following the classic introduction of Hulk's love, Jarella, comes the first appearance of Doc Samson, a battle atop the Empire State Building, and the fight for who's meanest and greenest against Dr. Doom! Plus, the Phantom Eagle's first appearance from MARVEL SUPER-HEROES!